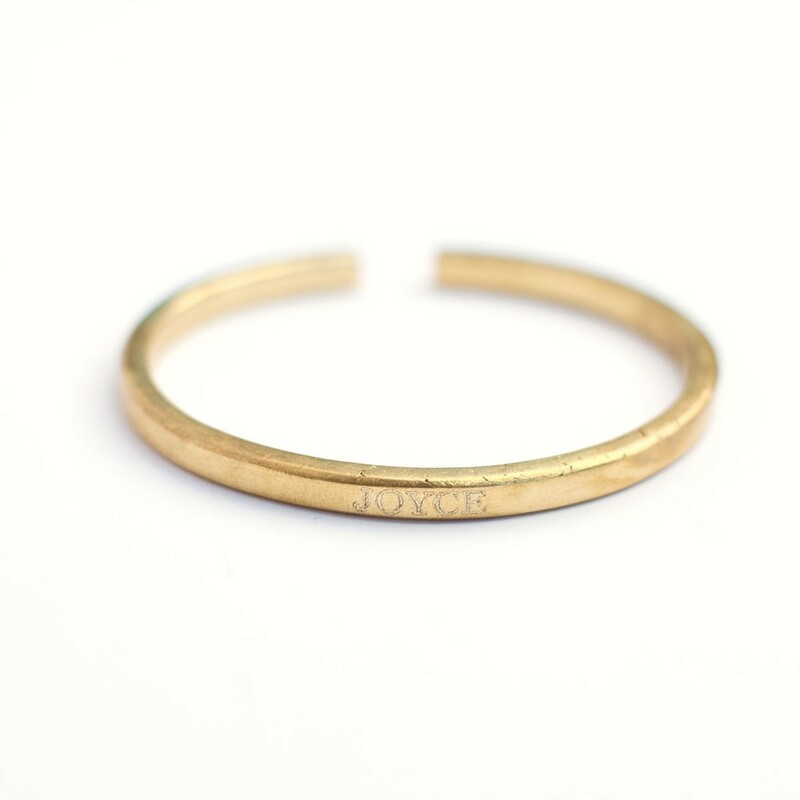 These are the most delicately crafted, perfect brass bangles! Thinking about a uniquely flawless bridesmaids gift? Well, these are it...Sole Sister Bangles! The names imprinted into the metal are those of women that live a million miles away. The idea here is, that by wearing another woman's name on your arm, you are reminded that you are not alone, and that her life and story may not be all that different from your own. These bangles represent the global community of tenacious, powerful, talented, loving women that we gals are all a part of. After a trip to Uganda (shortly after completing University in 2008,) Liz Forkin Bohannon, became witness to the enormous gap in gender and education there. Concerned, she began to create relationships and connections with women living in severe poverty. Without a question, she stayed in Uganda, and slowly began to build what is now an organization, Sseko Designs, that supports women with fair wages and a workplace founded on dignity, grace and dedication. Sseko also supports women in Uganda with the work experience and money needed to go to University. upcycling residuals - supporting notablySmitten!